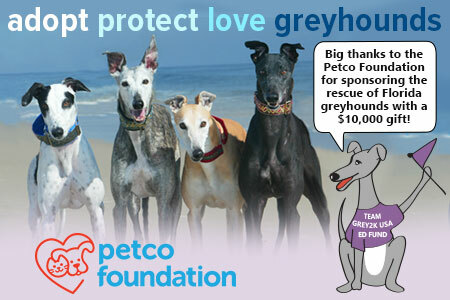 Help us promote the love of greyhounds! The GREY2K USA Education Fund is the all-volunteer 501(c)3 sister organization of GREY2K USA Worldwide. 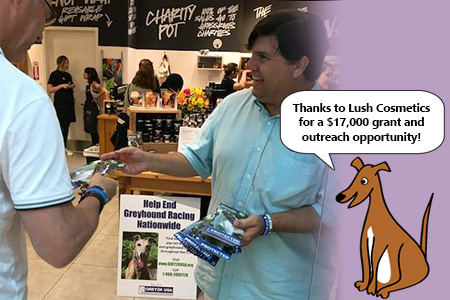 We work to sponsor greyhounds as they are released from closing racetracks, research the pari-mutuel industry and educate the public about the cruelty of dog racing. Our mission is to spread the word about these gentle dogs and promote adoption efforts far and wide. Lend your support by making a donation today. 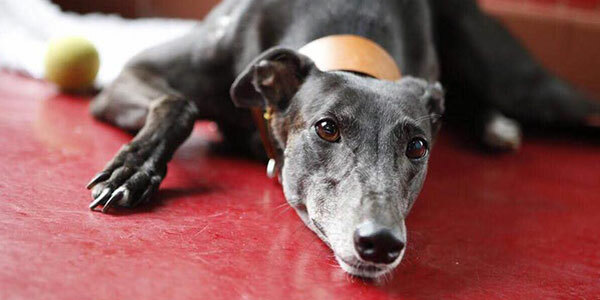 Our Second Chance for Greyhounds Fund allows hardworking adoption groups to accept dogs into their programs that might otherwise be left behind and killed. Order our activity kit with a donation of $25 or more. 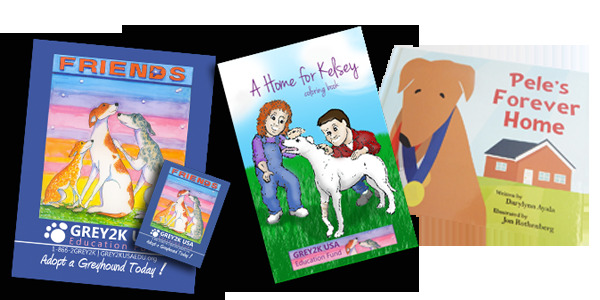 Contents include "A Home for Kelsey" coloring book, an 11" x 14" Greyhound Family poster and a 3" x 4" Greyhound Family magnet. Turn your unwanted vehicle, including cars, boats, RV’s, trucks, motorcycles and more, into a tax-deductible contribution to help greyhounds! We teach children that greyhounds deserve protection.